Dangers of Vaping Information Session April 9 at 6 PM in Newton-Conover Middle School Auditorium. 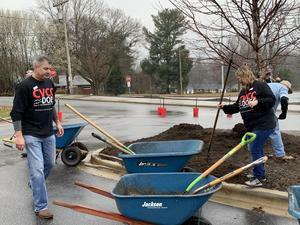 Several members of Catawba Valley Community College's administration and staff volunteered at South Newton Elementary School on February 27 as a part of their Days of Extraordinary Service Event. Nominations are now being accepted through March 25 for the 2019 Red Blazer Award. Summer 2020 Educational Trip to Ecuador and Galapagos Islands Informational Meeting March 14, 2019 at 6 PM in NCHS Media Center. Newton Conover City Schools Child Nutrition Department is currently accepting Request for Proposals to provide Preventative Maintenance for school cafeterias for the 2019-2020 school year.